When you visit a resort, hotel, or restaurant as a guest, you expect to have a pleasant experience. It is the job of a hospitality manager to ensure that this happens and that your expectations are met. This profession is ideal for people who have excellent leadership skills, a generous attitude, and who love to work with other people. In many small to medium operations, hospitality managers serve double duty as restaurant and hotel managers. However, larger facilities have dedicated hospitality managers whose sole focus is to improve the guest’s experience. If this is the career path you have chosen for yourself, let us be the first to say “Congratulations!”. Hospitality management is an exciting and challenging profession, but it is also one of the most rewarding. 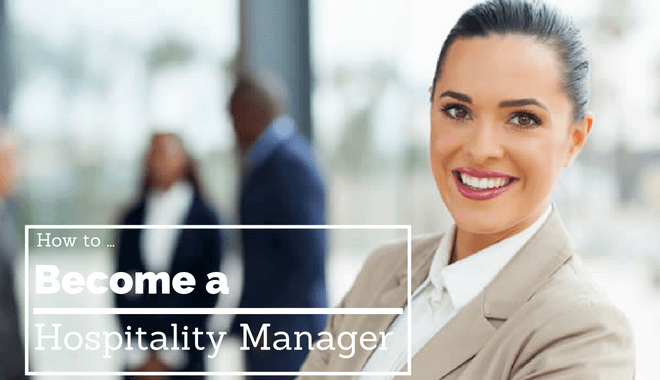 Read on to learn how to become a hospitality manager! The first step on your journey to becoming a hospitality manager is to earn your degree. According to the U.S. Bureau of Labor Statistics (BLS), most full-service hotels require their general managers to have a minimum of a bachelor’s degree in hospitality management or a closely related field. Upscale hotels generally require managers to have a master’s degree in an appropriate field. The majority of bachelor’s degree programs for hospitality management in the United States are comprised of similar courses. They tend to have a strong emphasis on business management classes with specialized courses, like revenue management, facilities management, and food production management, added in to provide a more comprehensive education. Most undergraduate programs require students to complete a minimum number of hours in an internship before they are allowed to graduate. Internship opportunities are available domestically and abroad. These internships provide invaluable, hands-on experience working in a hospitality setting. Master’s degree programs in hospitality management place an emphasis on the development of interpersonal leadership skills, like mediation and negotiation, group dynamics, crisis communication, and conflict resolution. An increasingly popular alternative educational route is the graduate certificate program in hospitality management or hospitality marketing. These certificate programs are offered by a number of top universities, including Cornell and Fairleigh Dickinson. They involve less work than earning a master’s degree, but they still suffice for career advancement. Certificate programs usually offer a combination of classes similar to those in a master’s degree program, like team dynamics and hospitality marketing. We have discussed the importance of internships, but what are you supposed to do after graduation? One method of fast tracking your way into hospitality management is through a training program. Many national, full-service hotel chains now offer management training programs where candidates receive on the job training in their chosen area of specialty. The eligibility requirements for these programs are strict, and they are competitive. For example, applicants may be required to hold a bachelor’s degree in hospitality management (or a closely related subject), have a minimum of six months of relevant work experience, and pass a written exam. The average length for these management training programs ranges from six to eighteen months. During your tenure at the program, you will receive training in front office procedures, finance, food and beverage sales, hotel maintenance, housekeeping, revenue management, and human resources. If you are training to become a general manager, then expect to be rotated through multiple departments as an assistant manager. Upon the program’s completion, you will be placed as either an assistant manager or a general manager at whatever location you are needed at. Alternately, you may be placed at the facility where you trained. While training programs offer the most direct route to hospitality management, most individuals, upon graduation, will assume entry level jobs within their preferred hospitality field. This entry level jobs can range from working in concierge to being a food and beverage manager for a full-service hotel. Although entry level, these jobs should not be discounted. They serve as an opportunity to get your foot in the door with your desired employer. For example, if you take an entry level job with a hotel, focus on learning as much about each department as you can, even if you do not work in it directly. Think of it as an opportunity to continue your education. You must be willing to work hard, but with hard work, you will also work your way up the proverbial ladder. Because the hospitality industry is so diverse, you can expect to regularly interact with guests from a wide range of backgrounds. Your interpersonal skills and customer service skills need to be impeccable. You must also have excellent written and verbal communication skills, in addition to a natural inclination towards diplomacy. Remember that, in addition to guests, there will also be a staff that you must deal with on a daily basis, so being able to motivate your team and to effectively delegate tasks is important. Just a few of the other skills you must possess include being able to work under stressful conditions, being self-motivating, and being proactive in finding and developing solutions to problems before they arise. Managing a hotel or restaurant also involves dealing with reservation systems, financial matters, maintenance, and security, so having adept math skills, technical skills, and accounting skills is also pretty important. Most importantly, you must be able to work calmly under pressure. As a manager, you will lead your team by example. 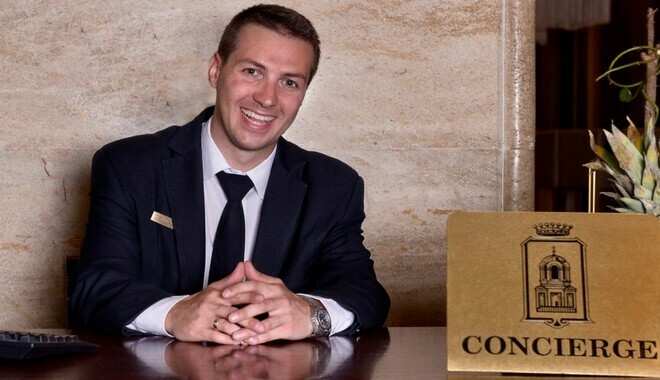 Although having professional certifications is not a requirement for becoming a hospitality manager, having these certifications on your resume will certainly make you stand out from your competition. For example, if you plan to work in the food and beverage industry, you earn optional professional certifications through the National Restaurant Association Educational Foundation. Their certification as a Foodservice Management Professional (FMP) designates an individual as competent in the industry. Those who wish to obtain this certification must meet the necessary experience requirements, complete specific coursework, and pass a written exam. Alternately, if you plan to work in a hotel, then earning the Certified Hotel Administrator (CHA) certification from the American Hotel & Lodging Educational Institute would be a wise investment of your time and energy. This designation is reserved specifically for hotel general managers, and you can be eligible for to take this cert if you have a four-year degree in hospitality management (or a related field) and a minimum of two years of relevant work experience. There has never been a better time to get involved in the hospitality management profession. According to the U.S. Bureau of Labor Statistics, the field of hospitality management is expected to grow by 9% between 2014 and 2024. This growth rate is slightly faster than the national average for other professions. This will create approximately 4,800 job vacancies over the next decade, and there is a severe shortage of qualified individuals to meet the demand. If you are interested in becoming a hospitality manager, now is the time to start!